Simple, Safe, Secure: This Is Where It All Comes Together. Renewable power generation is the fastest growing energy sector in the United States. 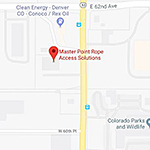 To keep your investment running smoothly and efficient Master Point Rope Access Solutions offers a myriad of services from blade inspection/retrofit to cleaning and coating. The petro chemical industry is one of the oldest industries in the United States. Because of this, the need to inspect all aspects of a facility is paramount. Bridges and dams are a vital component of our country’s infrastructure. These structures need constant inspection and evaluations in order to keep our populations safe. Whether it’s your place of business or a place to relax, these structures need constant inspection and maintenance in order to operate smoothly and safely. Contact Master Point for your project today! Rope access is a work positioning method using practical rope techniques at-height to allow workers to safely & quickly work in vertical environments such as cliffs, buildings, & towers. 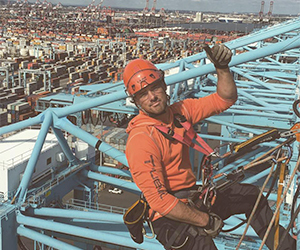 Because fall protection is an integral and automatic part of rope access, it offers increased safety over many other methods of working at height. It also offers greater efficiency & flexibility, lower costs, & often negates the need for expensive scaffolding or aerial work platforms. of a presentation to read more details about rope access. Eric is an experienced Rope Access Maintenance Technician, Fall Protection Consultant and Explosive Ordnance Disposal technician. 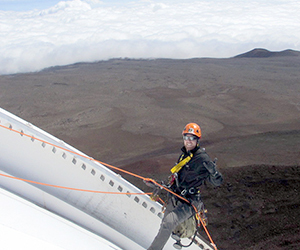 From the mountains of Afghanistan to the summit of Mauna Kea, he has worked on a large variety of sites in extreme environments. He has a background of emergency/hazmat response and holds SPRAT III, OSHA 30, BOSIET and Confined Space Rescue certifications. His drive is to make the impossible not just possible, but routine. Trask is the consummate rope man. Whether tied into the sharp end of a single rope on ice or rock, or rigging ropes to make a drop from wind turbines – he is equally at home in the vertical world. Trask has worked and rigged in amongst many industries to include petro/chemical, paper/pulp, bridges, dams, wind turbines, skyscrapers, and grain silos. He has also designed and managed rigging for climbing movies such as Higher Ground and Luxury Liner, both produced by Alstrin Films as well as stunt rigging for Fast and Furious 7. 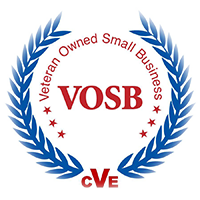 In addition, he is an EMT, and holds a SPRAT level 3, BOSIET, an OSHA 30 and Confined Space Rescue certifications. Trask puts safety above all else.